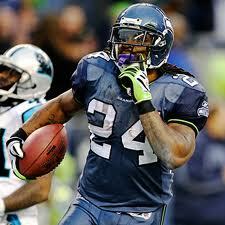 Ray Rice, Matt Forte, Payton Hillis, Marshawn Lynch, and Arian Foster were all due to become free agents this off-season. Rice and Forte have already been franchise-tagged, and Foster is a restricted free agent. Still, the question of what they're worth in terms of salary and cap space remains. A couple months ago, I took a look at the safety position and how free agents are paid. And more recently I took a look at how QBs are paid with the intent to eventually establish a rational framework for how they should be paid according to their actual production in terms of wins and points. Like the prior analyses, my primary goal for now is to get a feel for the market. As in all individual player analysis, it's worth stating up front that football is always a team sport. Like all other positions, a RB's stats are not his alone, as they depend heavily on offensive lines, opponents, scheme, situational variables, passing game strength, and other considerations. We can account for the situational variables with the EPA and WPA models, but we must rely on the tendency for factors beyond the control of the individual player to even out in the long run. They may not even out for any individual RB, but in aggregate, the idea is that some RBs will have above average lines, some will have poor lines, and collectively we can roughly estimate the financial value that a RB brings his team based on production. First, let's take a look at how RB salaries are actually determined. There are two graphs below. The first plots career total rushing yards vs. career total cap hit. The second plots career Yards Per Carry (YPC) vs. career cap hit. The data include years 2000-2009 and is limited to RB seasons with greater than 6 game appearances and greater than 50 carries. Cap hit is adjusted for NFL inflation. Only players who had a cap hit greater than $1M in year 2000 dollars were considered. This limitation is so that we sample only high-priced RBs, and is necessary to see any relationship at all between performance and pay.